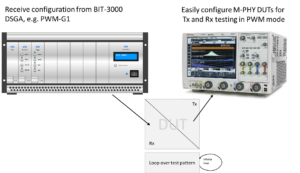 This BIT-3000 Dynamic Sequencing Generator and Analyzer (short: DSGA) is designed as a complement to high-speed instruments like AWGs or BERTs. 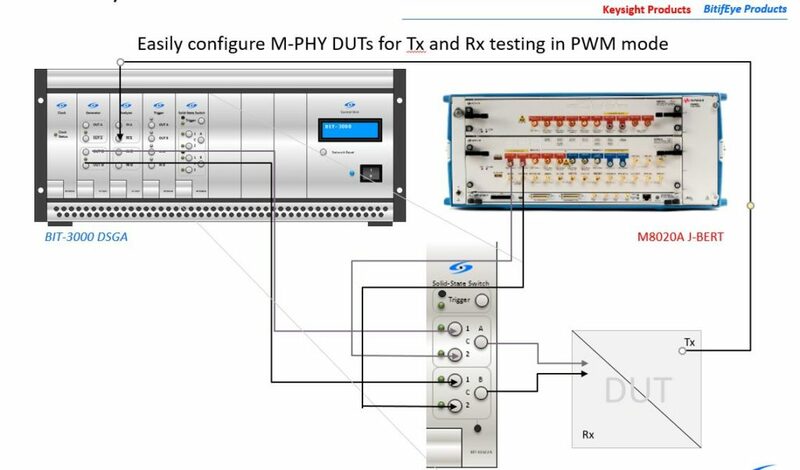 HDMI 2.1 eARC Testing can be easily conducted with the DSGA set up in combination with Keysight´s 81160 AWG. 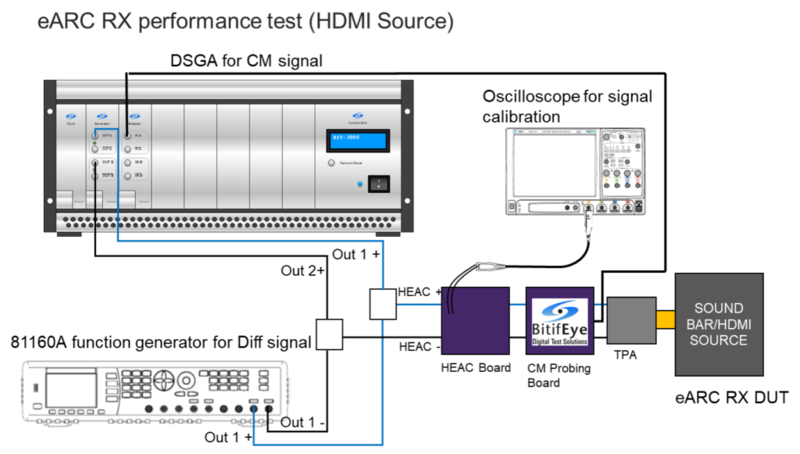 The Test Automation software ValiFrame / N5990A enables fully automated control over the BIT-3000 DSGA. The user can use the Frame Generator software to decode data. A modular design allows users to adapt the system to their specific needs. To fulfill individual purposes in which a DSGA Platform is useful, you can also configure your own system. Below you find the different modules. Chassis, CPU, control unit, power supply, one clock module slot, seven generator/analyzer/trigger module slots (no modules included). Filler panels will be added automatically on slots with no module in. Up to 6 modules supported in any of the 7 slots. Each module has 2 differential generators. Data comes from 12-channel sequencer. Up to 2 modules supported in any of the 7 slots. Each module has 2 analyzers. 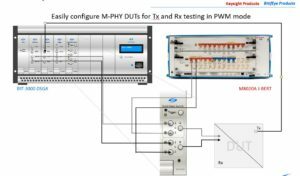 Each module has an NRZ sampler and a PWM sampler. 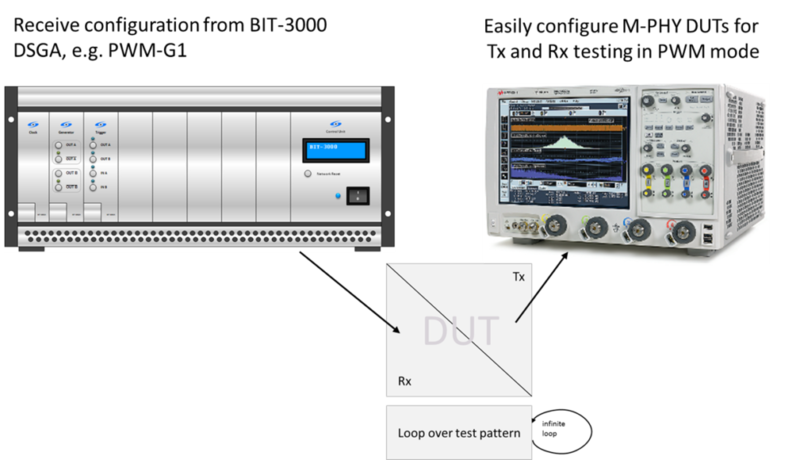 Sampled patterns can either be recorded or trigger other components. Each module has 2 trigger outputs and 2 trigger inputs. Trigger output is driven by the sequencer. Trigger input can engage the sequencer or pattern recorders. 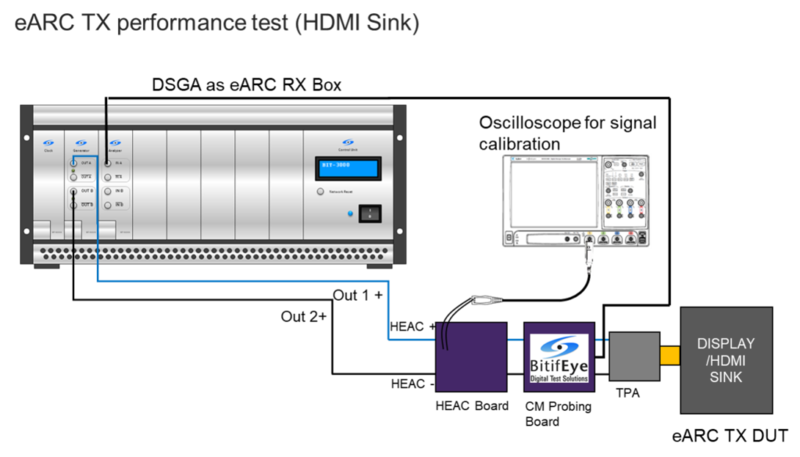 Manuals, test automation software and firmware updates for the BIT-3000 DSGA can be found on our download page.